クラウドファンディングトップ › 社会にいいこと › 国際協力 › サモサプロジェクトで貧困の子ども達を救う! EAT FOR EDUCATION! Samosa Project: Eat for Education!!! Hello! My name is Tuhina Mishra. I am a half Indian half Japanese junior (17) girl living in Tokyo. It all began one day when I decided to wander around the houses nearby. I was told not to go near the other side of the street, but I could not resist. As I slowly peaked through the corner of the entrance to the slums, I was shocked in disbelief at the unexpected scene in front of my eyes. I saw children working. Children of my age, in barely any clothes, making things, washing things, carrying things, and working. Back then, I was young and I did not understand how this could exist in a country so rich with joy and happiness. 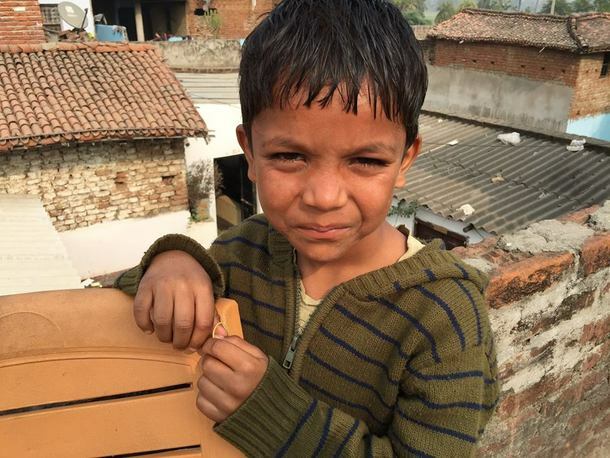 As I lay in bed that night, I wondered about the children I saw. These children had to have a dream of their own, whether to become a teacher, or a doctor, but instead lay there and grew there, working with emotionless faces. This thought of them not being able to pursue their dreams and passions bothered me the entire night, as I could not help but imagine what life would be like if I were in their shoes. This was unfair. I suddenly felt the desperate need to do something in order to be of their help. I began to think. What could I possibly change, possibly offer, to change this tradition and the mindsets of the people from thinking that this was okay? How could I, a child myself, do something to fix and change that what constrained and limited the future of these children? Then it came to me. What made me different from them, was that I had access to proper education, one of the most valuable things in life. They did not have the necessary skills, the motivation or courage, nor the knowledge, because they did not have education. This epiphany is what lead to create my Samosa Project in 2014. I wanted to do something only I could do, something extraordinary and special. I wanted to find a way to enjoy raising money awareness in order to support these children. 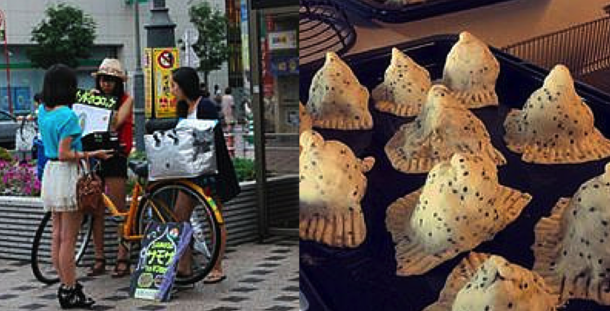 During the summer of 2014 (my sophomore year) I decided teach myself the art of selling, and in order to do so I decided to sell Samosa’s on the busy streets in Tokyo. And I decided that the profit of this project should go to support education of less fortunate children in the Interiors of India via an NPO organization. Starting and carrying on with my Samosa Project was definitely not as simply and easy at it sounded. One of the biggest challenges I faced during this journey, was becoming certified for food production. It took me almost a month to convince the Koto-ward health division to grant me a certification to officially be able to make and sell food items which they had refused considering of my inexperience and associated risk. Knowing the strict laws and regulations in Japan, I was denied and discouraged several times. But eventually with my persistence and the support of my family and friends, I was able to stand back up every time no matter what they said. As a result, I finally was able to launch my business with all official certifications. I remember how nervous I was the very first few days selling samosas to random people on the streets with my bicycle. There were days when I would sell all, and days when I would sell none, but nevertheless I had to keep fighting and find a way to keep myself encouraged. I had even managed to start my own cooking classes, give presentations at different schools, and even produce my own logo sticker. 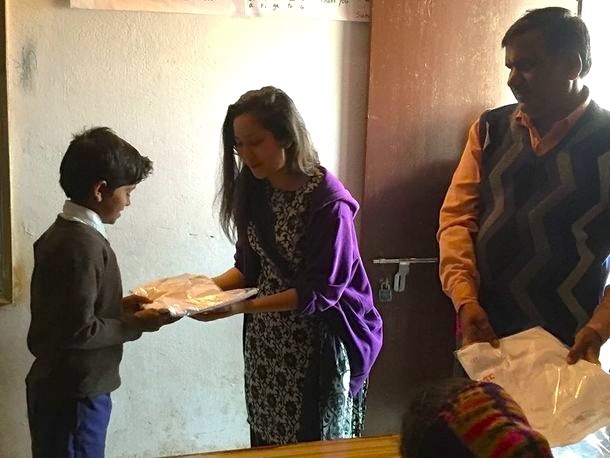 After continuous days of working for my project, I had finally raised enough to support 8 children at the Niranjana School. This is when I realized that all the challenges I had faced and the time and effort I put into my project had successfully transformed to something so much more of worth. I realized my capabilities regardless of what others had to say and these children were the reason I could keep going and not give up. 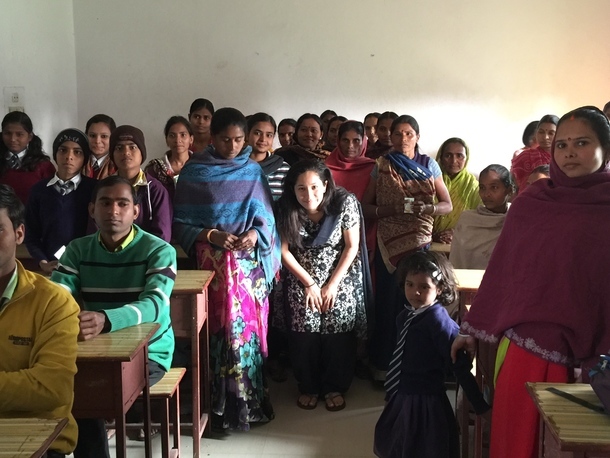 During the winter of 2015, I had the wonderful opportunity to visit the Niranjana school in Bihar and Bodhgaya, which was located nearby. During my stay, I gave presentations, taught classes, cooked with the children, and even met with the local doctor there, in order to further understand the medical conditions and situations of these children, and the village as a whole. 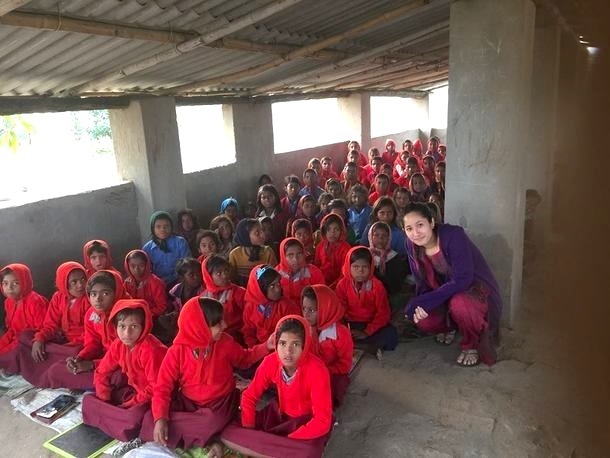 I realized that they lacked knowledge on the importance of being hygienic and nutritious, which influenced the performance of the children at school because it was blocking the road to obtaining a proper education. This is what lead me to gather all the parents of the school in order to give a presentation on the importance of hygiene and intaking necessary nutrients. This year, I have decided that my goal is to continue this project, but on a larger scale. However, in order for this to succeed, I realized that I needed more ingredients, rental space, more materials, and a new plan. This is the reason why I decided to apply for crowdfunding. This summer, I want more and more people to know about the conditions of these children in India by expanding my Samosa Project. My goal is to increase the number of children I am supporting from 8 to 100! My method to achieve this goal is not to just simply collect funding and donate it to the school. I want to make and sell these samosas to raise more awareness, and bring joy to both the supporters and the children. I want my samosas to become a symbol of education and passion. During this summer, my plan is to start my large scale business from July 23rd to August 21st. My samosas would be sold in several cafes and restaurant in Tokyo. I will be selling 1 samosa for 300 yen (approximately 3$, without tax). My goal is to sell above 9000 samosas in one month. 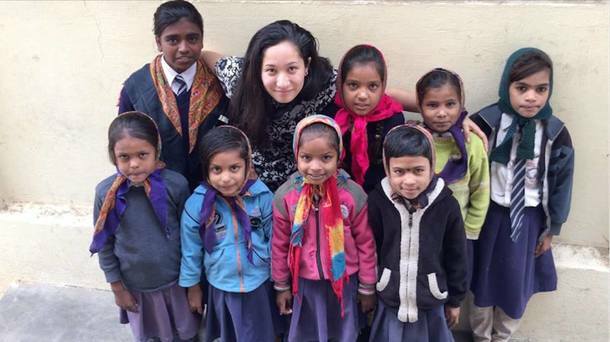 By subtracting the costs from my overall sales, my profit would be able to support the education for 100 children. The samosas are very delicious and will bring joy to me and the people who buy them. During the selling period, I am planning to also hold talk shows and presentations in order to further raise awareness and spread my project. The profit raised from this project would be used to support education of less fortunate children in the interiors of India. The school that I am supporting is called the Niranjana School (NPO Niranjana Sewasanga) located in Bihar, the poorest state of India. These children are very dedicated and have big dreams. To think that my samosa project has already helped 8 little girls in receiving an education is truly amazing and I want to keep going. When I went to visit the school last winter, I saw these students studying with all their heart, with so much passion. It made me want to do more, to expand, and give more children more hope and motivation. I told them that they could become anything they wished, as long as they were passionate and determined, and to use this educational experience to their advantage, because it is a privilege and it has the power to make a change. They are the revolutionary generation who have the power to change the entire village, country, and the world through education, and I wanted to let them know that we are all supporting, and that I will keep working for them to have this education. To change the future of these children, to change the entire village, the country, and the world, that is my ultimate goal.